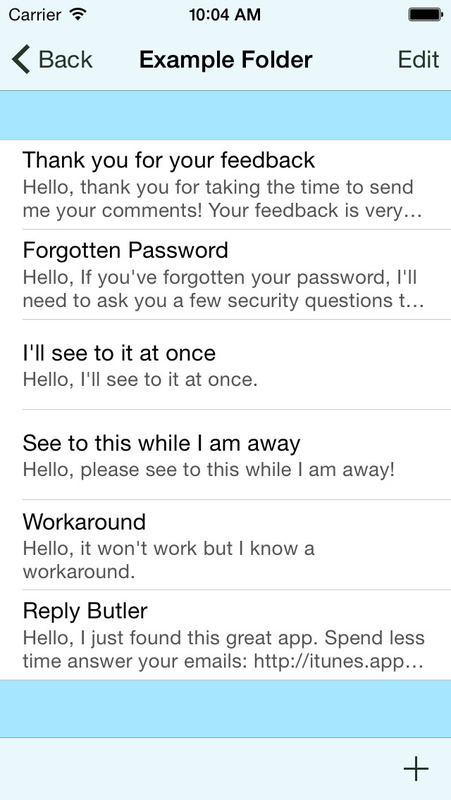 Spend less time answering your emails and support your customers, get Reply Butler! The easiest way to answer most frequently asked questions and to improve your customer service. Create own folders and organize your snippets. If you have to support different projects or websites you can create signatures and assign them to your folders. It took a little longer than expected to finish this update but here it is: version 4.0. Added folders to organize your text snippets. You can rename and reorder them the way you like. You can also change the symbols for a nice overview. 1. history: it contains recently used text snippets. 2. recycle bin: delete snippets are moved here. 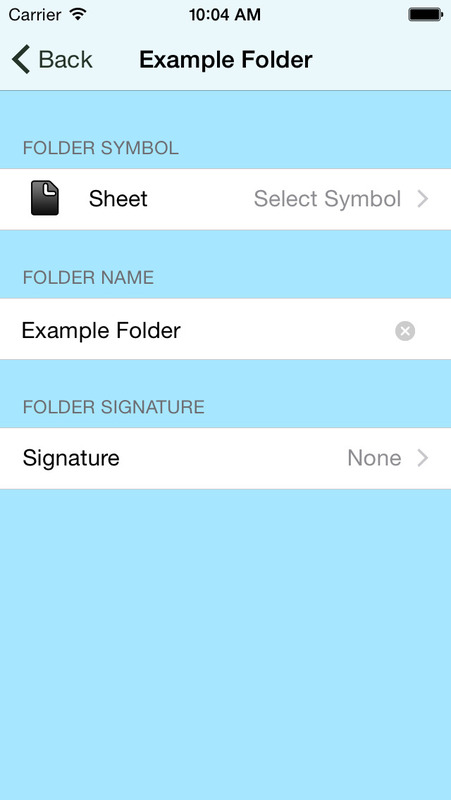 3. signature folder: it contains your signatures. 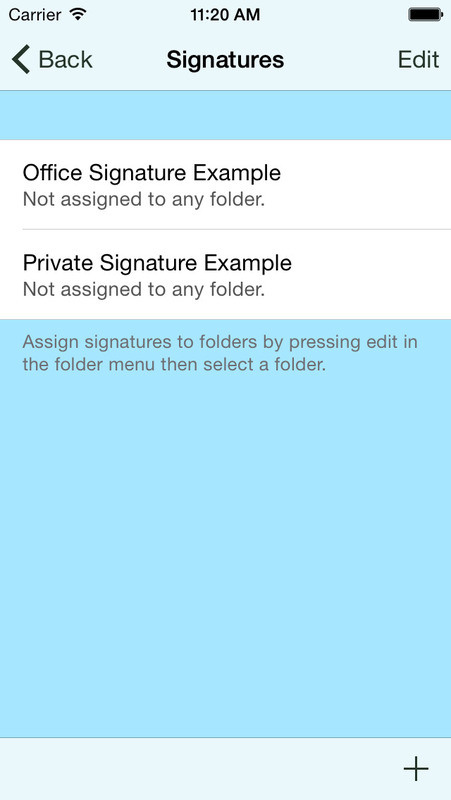 You can now assign signatures to your folders. If you are updating from an older version of Reply Butler you will find your old signatures in the "imported"-folder. 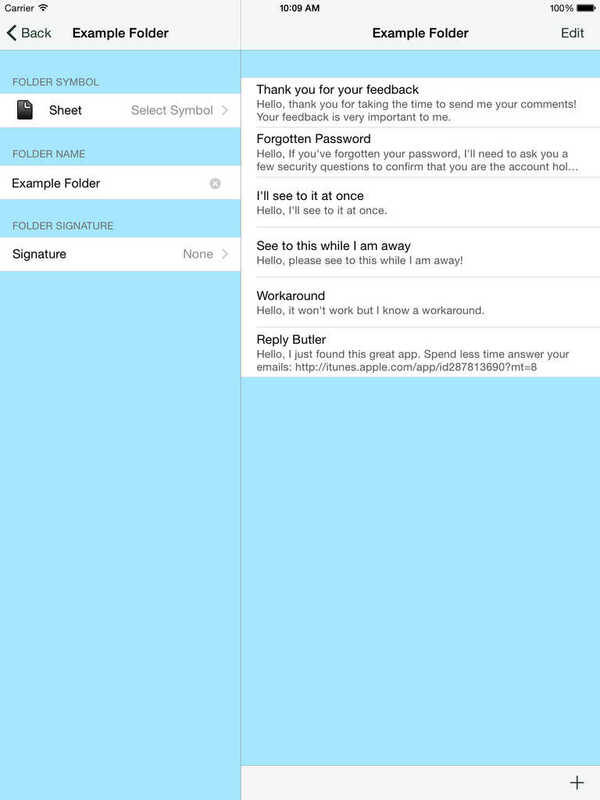 Reply Butler is now an universal App for iPhone and iPad. The look of the app changed and it is now optimized for iPhone 4, iPhone 5, iPhone 6, iPhone 6 plus and the iPad. It also got a new app icon. You can use the app in landscape mode if you like. 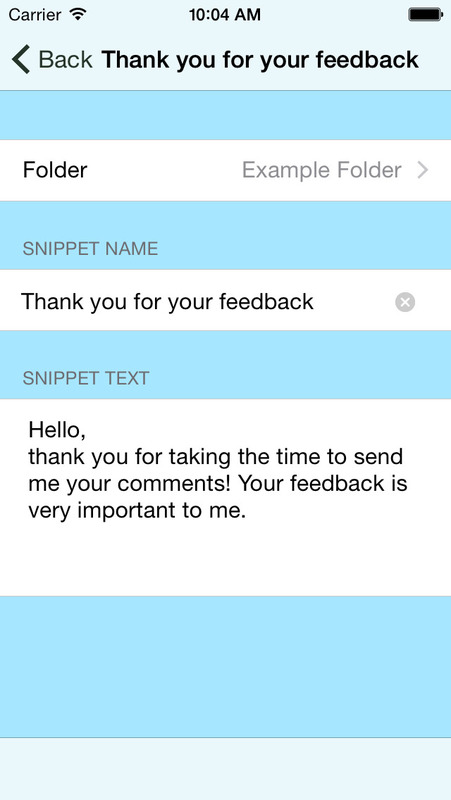 The snippet preview is not better and sharing the snippets with other apps is easier than ever. You can export the database for backup or share your snippets with other devices via email or airdrop. iOS 7 and iOS 8 compatibility. If you like the update please consider rating the new app in iTunes. Cigarette Counter Lite - How much do you smoke? Tally List - counting made easy! Tally List Lite - counting made easy!